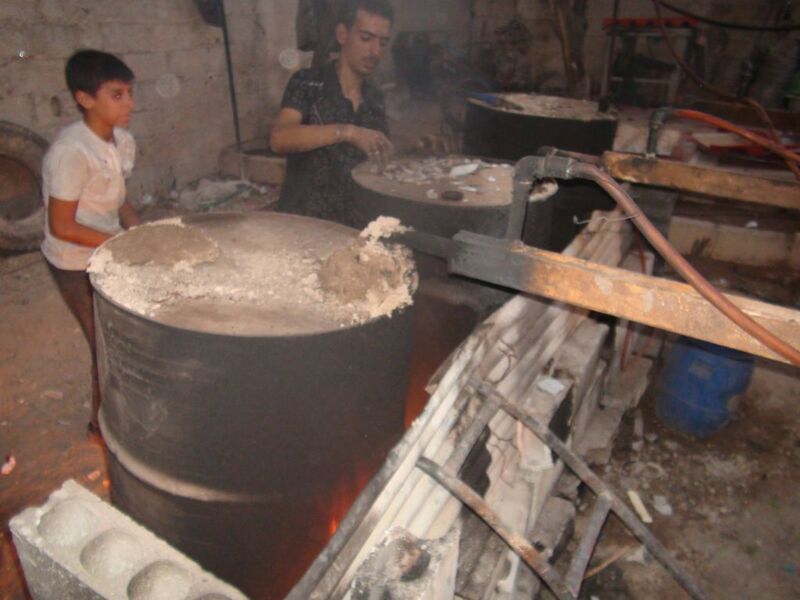 Short of electricity and oil, enterprising residents of the Damascus suburb have begun extracting fuel products by melting plastic. After living under siege for more than two years, the 500,000 residents of eastern Ghouta in the Damascus suburbs have developed alternative ways to obtain basic necessities. Short of electricity and oil, they have begun extracting fuel products by melting plastic. Abu Talal, 43, owned a car-painting service when the conflict began. He adapted that knowledge to create an unusual startup: generating oil products from plastics and selling it to locals desperate for fuel. “I know a few things about burnt fuels. When the regime cut off all supplies, I thought of extracting gasoline and diesel by burning plastic,” as he describes the makeshift practice. He says their operating consists of the basic kit: plastics, pipes and barrels, which have to be replaced after two production rounds in order to avoid explosions. 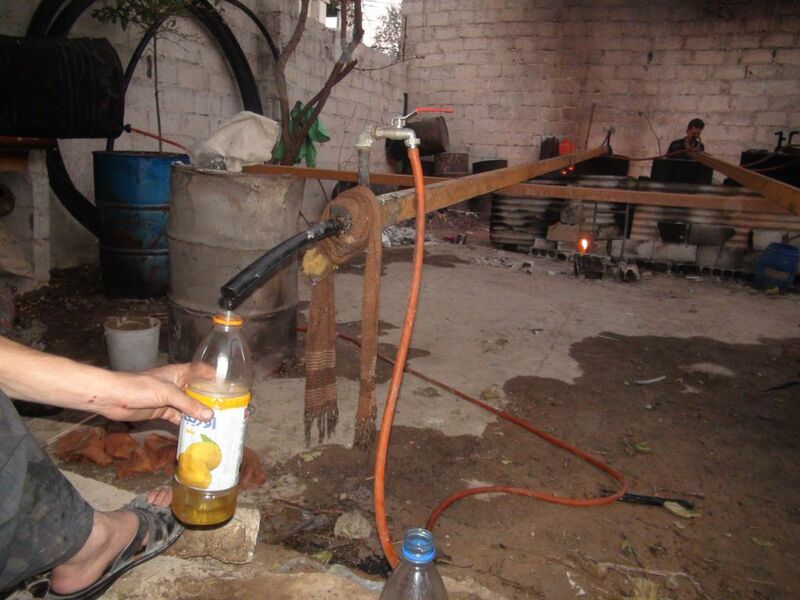 “We buy plastic water pipes for 300-350 [about $2] Syrian pounds per kilogram,” Talal says. “Water tanks cost 100-200 pounds per kilogram. A liter of gasoline costs us 600-700 pounds (roughly $4), and we sell it in Ghouta for 800 pounds [$5], a profit of 100 pounds. “It takes two to three hours to extract as much as possible from one batch of plastic,” he says. He says that his business supports 15 families – each with a breadwinner on his team, earning up to 1,000 pounds, or $6.25, per day. But he admits that the rudimentary process can lead to health issues, with some workers coughing severely after inhaling the fumes. Abdo al-Idelbi is a Syrian contributor for Syria Deeply.